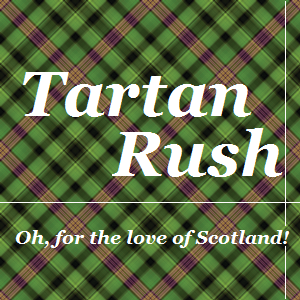 ← Welcome to the Tartan Rush! Before my grandparents left for America. These are my grandparents, Peggy and David. 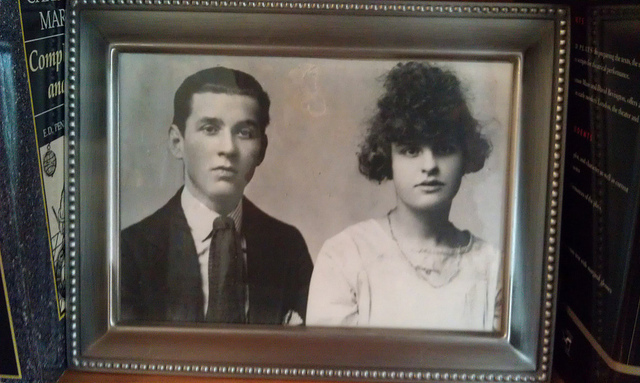 They were both born and raised in Glasgow, Scotland in the early 1900’s and arrived in the United States in the ’20’s. To say they lived the American dream is to over-simplify their story, but it seems to clearly explain why my grandfather chose to leave home. David came to this country and did hard, physical work. He became passionate about unions and the opportunity of democracy. My grandfather worked to become an American citizen, and eventually bought a home, establishing a sense of permanence. Things weren’t quite the same for Peggy. My grandmother never became a citizen and always had visions of returning to Scotland to live. She even resorted to taking my mother there and living for a year or so without my grandfather. I wish they were here today so that I could better understand their passions, but I’m fairly sure that my love for Scotland is genetic. My mother has it and her mother never lost it. So, it is for them that I launch this blog. My grandfather told me once that you should do what you love. It’s taken me a long time to put all the pieces together, but . . . here goes. Follow Tartan Rush on Twitter or Facebook to keep up-to-date on all my posts and more! PS. BTW, my grandmother’s family found out she was engaged when they saw this photo in the window of a local photographer. That minx.